Description: A fast growing large grass. 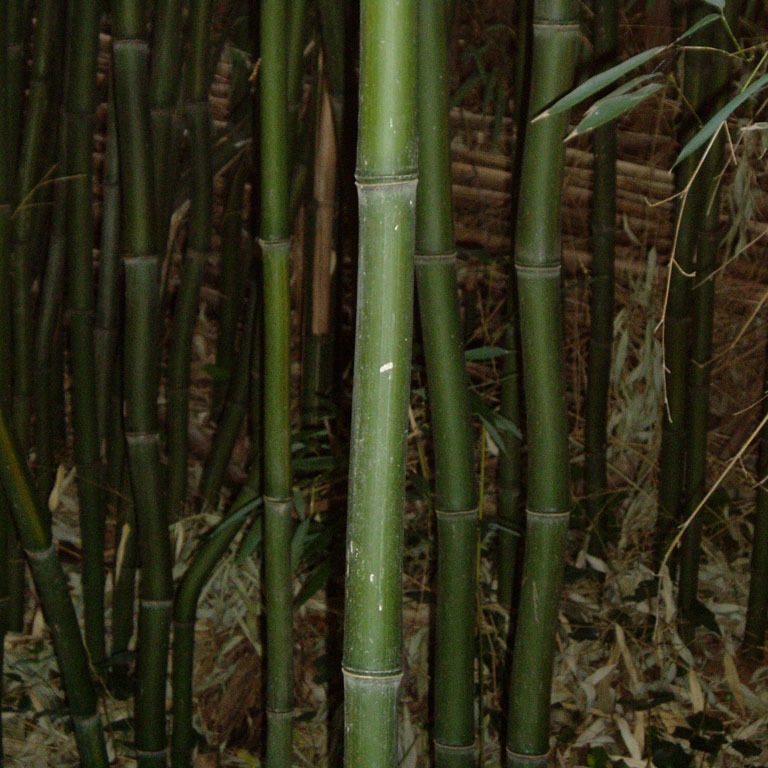 Bamboo can grow inches per day in its native habitat and can reach 20 feet in height in much of the US. It grows in large clusters and tends to be a very invasive plant wherever it is introduced. Being a grass, it spreads by rhizome. Edibility: Bamboo shoots are edible and are quite common in many different cuisines. Utilitarian Uses: Bamboo is endlessly useful. What can't you do with bamboo. Besides it obvious uses as a food and a building material when lashed together, it also can be useful for creating fire-by-friction using the bamboo firesaw method. Tinder can be gathered from the inside of the stalk for this method. Bamboo can be used to make a good fish spear. I have even used sections of the stalk to make a primitive airbrush-like device. Other Notes: Being a grass, bamboo is prolific and quite hardy. It can survive freezing and flooding and grows from the base, not the tip.